Steven Spielberg’s ground-breaking dinosaur hit continues to spawn sequels and Home Alone is loved all year-round movie – despite being a festive flick. Other popular films in the top 40 include; Pulp Fiction, The Lion King and 10 Things I Hate About You – along with Terminator 2: Judgement Day, Clueless and Titanic. Commissioned by CHILI, subscription-free movie and TV streaming service, the research of 2,000 adults found we just can’t enough of films from 1990s. And best female actor went to Julia Roberts who produced a star-turn in Pretty Woman – which came second in the best films of the 90s. 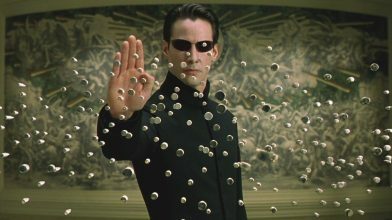 Although those polled believe there was a purple patch for action films during this period too – perhaps best exemplified by The Rock, The Matrix and the second Terminator flick.